I was very lucky to spot this, as I was pointing out an area where I often record Agaricus osecanus, and there among the long grass, surrounding a Lime tree was this, Tricholoma argyraceum. I was a bit surprised at the time of year but I needn’t have been as this species can occur during spring/late spring. 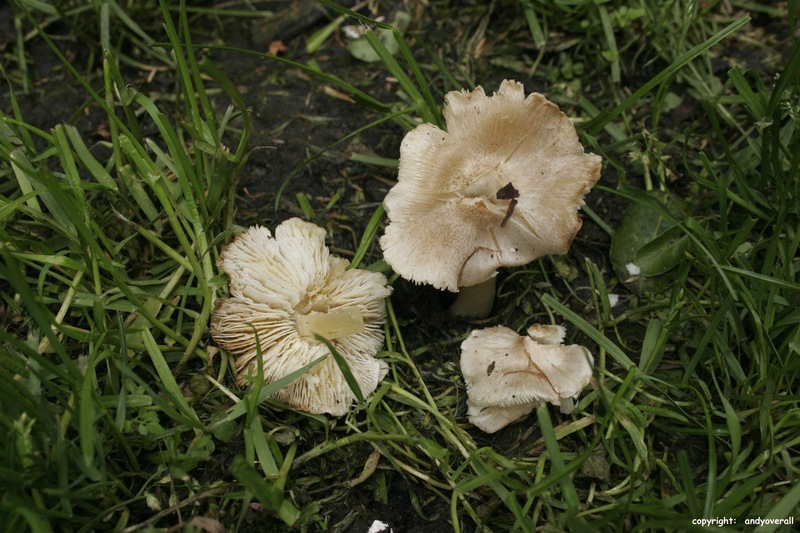 This is very closely related to Tricholoma scalpturatum which generally has much greyer and darker tones with more prominent scales, some authors consider them synonymous. The very pale colouration and light brown scaling at the cap centre are a good characteristic of T. argyraceum. A mealy smell has been noted from both species which varies in strength between collection, this had a feint smell. Both species have the characteristic of yellowing, especially on the gills The spores of both species are very narrow, only 2.5 to 4 microns.